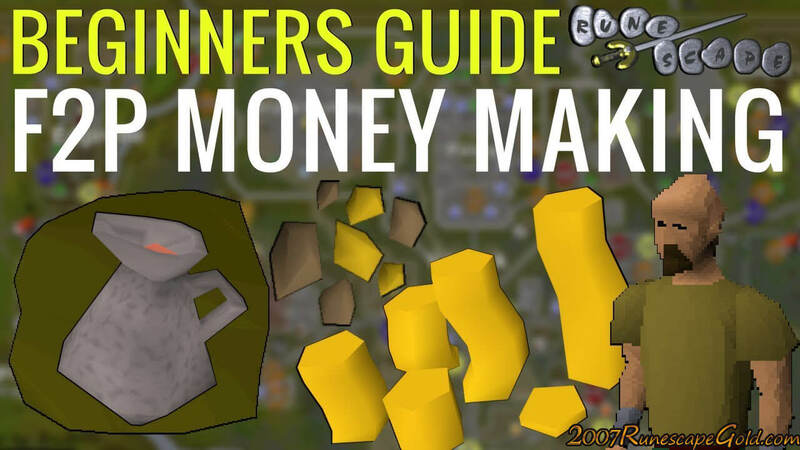 ﻿ How You Can Make Money As A Beginner In OSRS! How You Can Make Money As A Beginner In OSRS! It is awesome how many new players come here to buy osrs 2007 gold so they can get right in on OSRS. But for new players who are trying to play as a strictly F2P kind of player, we have a few ways that you can make money as a new player. Mining copper ore until you are level 41 mining is a great way to start. This can make you a nice 60 to 100k cash, depending on how prices are at the time you do it. There are zero requirements so anyone can do it. New players will need 7 quest points to unlock the Grand Exchange. Do these three easy and quick quests to get them, Romeo & Juliet, Cooks Assistant and Sheep Shearer. Killing cows to make money is easy there is a big cow pen in Lumbridge. It is busy, but a lot of cows are here so you should be fine. You want to kill the cows so that you can get cow hides which you can use to turn into leather so you can sell it for a nice amount of money. You want to be 13 magic for this (should not take you long) so you can use Firestrike on the Hill Giants. Hill Giants drop big bones which can make you 200 gp each. Killing these guys is easy and pretty cheap. These are very simple ways that you can start to make a little money in Old School Runescape. We know that you will not get rich, but if you are looking for a simple way to ease into the game while learning the mechanics, these methods will do that all the while earning you some money. Let us know of any simple ways you know that beginners can make money in OSRS and be sure to come to us when you want to buy old school rs 07 gold at the lowest price possible.